The Fosters is a compelling, one-hour drama about a multi-ethnic family mix of adopted and biological teenaged kids being raised by two moms. Stef Adams Foster, a dedicated police officer, and her wife, Lena Adams Foster, a school vice principal, have built a close-knit, loving family with Stef‚ biological son from a previous marriage, Brandon; their adopted twins, Mariana and Jesus; and newly adopted siblings, Jude, and his half-sister, Callie. 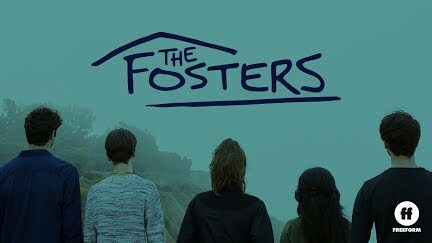 As the third season of The Fosters continues, former foster teen Callie is now officially adopted into the Adams Foster family. She must put aside any romantic feelings for Brandon and does so by throwing herself into her Fost and Found website, even drawing the interest of an investor. After his performance at Disney Hall, Brandon focuses his energy on his music, working with Mat on a musical for their senior project. Mariana relationship with Mat is still estranged, so she turns her attention toward running for junior class president. Jesus makes a friend who is into street racing and, at his prompting, questions Ana about his biological father. When Mike discovers a secret that his foster son AJ is keeping, he is torn about what to do with the information. Jude must face the fact that his boyfriend has decided to move away while a serious medical issue for Stef results in a clash of opinions between her wife, Lena, and her mother, Sharon. Winner of a Television Academy Honors Award and GLAAD Media Award for Outstanding Drama Series, The Fosters is executive-produced by Jennifer Lopez, (American Idol, What to Expect When You're Expecting, The Back Up Plan) and created by Bradley Bredeweg and Peter Paige (Queer as Folk), who also serve as executive producers and writers, along with Joanna Johnson (Make It or Break It). The Fosters‚ stars Teri Polo (Meet the Parents) as Stef Adams Foster, Sherri Saum (In Treatment) as Lena Adams Foster, Hayden Byerly (Parenthood) as Jude Adams Foster, Noah Centineo (How to Build a Better Boy) as Jesus Adams Fosters, David Lambert (Aaron Stone) as Brandon Foster, Maia Mitchell (Teen Beach Movie) as Callie Adams Foster, Danny Nucci (Titanic) as Mike Foster and Cierra Ramirez (The Secret Life of the American Teenager) as Mariana Adams Foster. Greg Gugliotta, Elaine Goldsmith Thomas, and Benny Medina also serve as executive producers. The series is produced by Nuyorican Productions, Inc. in association with Freeform.